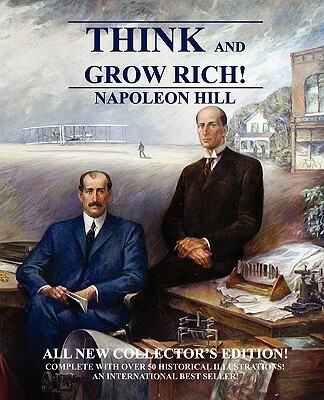 In this all new, exciting, Collector's Edition of Think and Grow Rich by Napoleon Hill, every effort has been made to give you, the reader, an enjoyable and pleasurable reading experience. For the first time ever, your imagination will transport you back to the early 20th century as you behold Henry Ford and his famous V-8 engine, Thomas Edison and his electric light bulbs, Andrew Carnegie and his industrial empire, Asa Candler and his global soft drink business, and much, much more This is the first, and only, edition of Think and Grow Rich to include historical photos and illustrations which capture this important era in history. Great care has been taken to select approximately 65 historical photos that help bring life to the author's classic work. Careful attention also has been given to certain editorial details to furthermore enhance the reader's experience. These include the selection and size of type style used, the layout and design of each page, and appropriate spacing elements. This book also is designed in a larger, EZ-to-read, 7.50 x 9.25 trim size, which compares to the more traditional smaller format other editions are published in. We hope you enjoy reading this all new Collector's Edition of Think and Grow Rich.